We offer avalanche courses in the Park City area for professional and recreational backcountry users of all levels. There are courses for every level of backcountry user, from skier to snowboarder, Telemark to snowshoe or snowmobile traveler. We also offer special avalanche training for aspiring American Mountain Guides Association (AMGA) ski and ski mountaineering guides. Our courses are produced by the American Avalanche Institute for Research and Education (AIARE). These avalanche courses are also internationally recognized for ski patrollers, guides and other professionals. The recording methods and standards learned are consistent throughout our network, which exists throughout the world. Our teaching style is the on the cutting edge: full PowerPoint presentations, small classes and information on the latest research and developing standards throughout the USA. 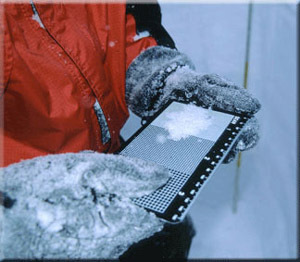 We strictly follow international standards in recording weather, snow pack and avalanche activity. Our instructors are specially trained and qualified by AIARE and certified by the either the AMGA or IFMGA (International Mountain Guide Association) in ski guiding or all aspects of mountain guiding to emphasize decision-making in avalanche terrain as well as travel techniques. Our instructors have experience in every snow condition and climate and have guided and conducted avalanche classes throughout the world. They are simply among the best in the field! For our level III avalanche courses, we have only fully IFMGA/internationally certified guides instructing. We keep our high standards by requiring yearly refresher courses and international workshops. A must for everyone who travels in the backcountry in the Wasatch. This two and ½ day course emphasizes awareness and avoidance of avalanche terrain. We teach and provide a checklist for basic decision-making strategies. The course includes travel techniques, basic rescue procedures and information that should be known by anyone traveling with or without a guide in the backcountry. This course includes both classroom and field work and is based in the Park City area. 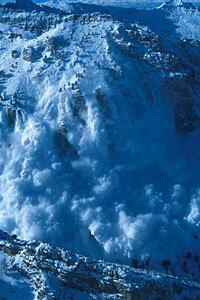 This 2-3 hour evening-session is for all ages who want to know a little about avalanches. 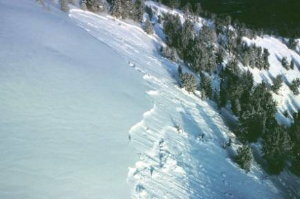 It is a interduction to the backcountry world and understanding the phenomena of avalanches. We introduce you to the avalanche forecast bulletin and teach you how to read and understand it. You will learn the basic framework of decision making to stay out of trouble. This a great course for your teenagers to get their attention and show them how to stay out of trouble. A must for newcomers to Park City's winter season. We also offer special private courses upon request in all levels, as well as group and individual 2/hr. awareness classes for schools and seminars. Customized courses for private individuals and groups can be arranged as well. We offer special private courses by request in all levels, as well as group and individual 2/hr. awareness classes for schools and seminars.